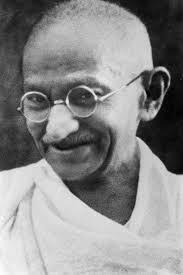 Gandhiji was not awarded the Nobel peace prize because he refused to be converted. Now that missionaries are spreading their tentacles far and wide in India converting people by allurement, inducement and fraud (In the north east killings and threats are becoming commonplace) Gandhiji’s message is all the more relevant in understanding and reacting to this problem. Missionary Terrorism will become as dangerous as Islamic terrorism if ignored. Please read & distribute. This entry was posted in Exclusivist religions, History, Nation, Social Issues, Threats and tagged Christian conversion, Mahatma Gandhi, Missionaries in India on September 1, 2012 by arisebharat. Punch into google search MAHATMA GANDHI, RE-WRITING INDIAN HISTORY- VADAKAYIL.